Download Back 2 U Now! 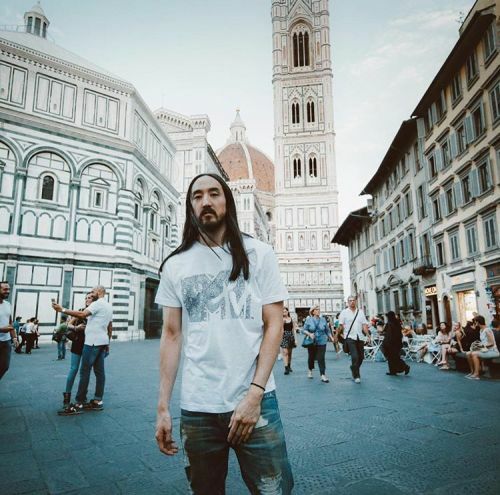 Legend has it that every spring Steve Aoki flies to a secret location where he spends every waking moment baking cakes for his big summer tour. Unfortunately, that’s not entirely true. What he has been baking up is new music and the first taste is “Back 2 U” his new single. Aoki says he “loves to work with artists that were able to find a brand new lane and create something really exciting and fresh” and on “Back 2 U” he collaborates with Walk the Moon and Boehm.. With Walk the Moon's powerful + catchy vocals paired with Aoki + Boehm's infectious tropical dance beat, "Back 2 U" will for sure be a summer anthem for 2016-and it'll get you feeling those summer vibes before you're even on vacation. Also, be sure to be on the lookout for their music video set to premiere in early June, which consists of photos from fans holding a photo of the person they want to get back to! Summer officially starts tomorrow...What better way to kick things off then by dropping down those windows, cranking the knob up to 11 and blasting this latest new release from Steve Aoki.